We’ve all seen it: the email that makes you do a double take. Whether it’s the blind copier or the passive-aggressive personality, we’ve all encountered someone who uses email like a powerful weapon – to insult, enforce obligation or place blame. These people are rarely liked and never trusted. 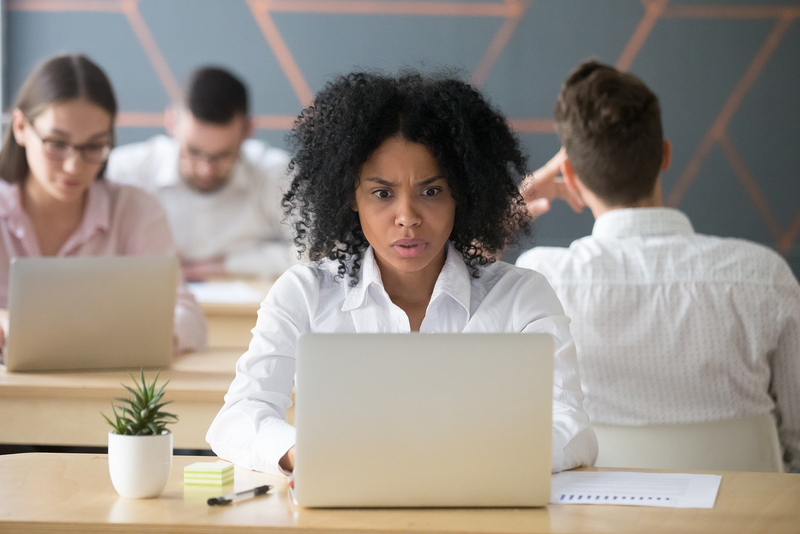 We’ve also seen employees unintentionally send embarrassing or damaging information about themselves or others to coworkers and supervisors over email, text or office messengers (oof). In addition to making for a super awkward situation, these slip ups can sometimes result in negative job consequences or even job loss. Remember that friend that called and asked you about another friend while they had said friend there, with them, unannounced. That’s the blind copier. They send an email which appears to be addressed to one person or set of recipients but actually includes others, which remain hidden from the recipient. The blind copier is usually found out when one of the hidden recipients, not realizing their identity was concealed, replies all – outing the sender (busted). There is only one situation where BCC is acceptable: the massive mailing list, which is rarely justified. Our advice? Simple. Don’t be shady. Clarity is a song by Zedd, not something you should offer to provide in an email. The passive-aggressive phrase “Just to clarify,” is more of a cyber grenade than an olive branch and usually ends in just as much damage. CNBC compiled a list of others just like it: “per my last email,” “as previously stated,” “re-attaching for convenience.” The list goes on. In short: write it, regret it; say it, forget it. Forward – not quite as bad as the blind copy but just as dangerous. Contrary to the name, it doesn’t help you get ahead. If a forwarded email ends up in the wrong hands, you could potentially lose trust and your position. Unless you need to send someone a record of your conversation, keep it to yourself. Don’t believe us? Ask Dave, who unknowingly forwarded an email to his boss without realizing the first part of the email included comments between him and another coworker about their boss’ micromanagement style. Yeah, it didn’t end well. Lesson here, don’t be Dave. Unfortunately, most of us aren’t in Vegas, and what happens in email rarely stays there. The same is true for workplace messengers, chat apps and text messages. In the words of some wise person (and that song from 1984), some things are just better left unsaid. So, the next time your boss asks you to work late, think twice before hitting send on that hilarious meme or awesome GIF. Take it from Zakaria, whose friend mistakenly sent a picture he received in a text from another co-worker to the entire office including the friend’s boss, via the WhatsApp. The picture? The friend in a Jacuzzi making some not-so-appropriate hand gestures. Needless to say, he didn’t make the boss’ holiday card list. Got an embarrassing work email story or tips to avoid office drama? Drop us a comment.